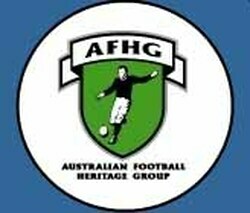 Following their expulsion from the ANFC in March 1970, the VFA was content to focus solely on premiership football. However, this changed in 1975 when the Ovens & Murray FL (OMFL) challenged the Association to a match. The VFA underestimated the strength of their opponents and paid the price for not selecting their strongest side; a mistake that wasn't repeated the following year when they levelled the series, albeit with a fight. The football landscape changed dramatically in 1976-77 resulting in the VFA receiving a surprise invitation to return to the fold. In 1976 the ANFC (which had been renamed the NFL) ran the first national competition which featured clubs from the VFL, SANFL and WAFL. However, in 1977 the VFL broke away to form their own rival night series and the NFL asked the VFA to take their place. This return to the national level gave the VFA access to their former interstate opponents and three matches against Queensland soon followed. By 1979 the SANFL had resumed interstate matches against the VFL and started negotiations for their involvement in the 1980 VFL Night Series. With the SANFL defecting to the VFL's night competition, the NFL had no choice but to disband their competition after 1979 and the door officially closed for the VFA once again. Despite the SANFL joining the VFL's night series in 1980, tensions between the two leagues remained high. Early that year the SANFL refused to enter a team in the VFL's planned national league so the Victorian League refused to play their annual interstate match against them. As had been the case back in 1904-05, the SANFL turned to the VFA and a representative match at Football Park was organised. It was one of the VFA's finest efforts, pushing a full-strength South Australian team all the way on the SANFL's home turf. Although the match had been seen as a chance to validate the VFA's claims for inclusion in the NFL, this was always a temporary return to the national stage and the status-quo resumed shortly after. As the events of 1968-69 had proved, the Association would never be part of the national body if the VFL did not support such a move. Later that season the VFL repaired their relationship with the SANFL and other NFL members, and the VFA was once again forced to search for lower level representative opponents. The Association joined forces with the VAFA and an annual series commenced in 1982 for the "Victorian Football Cup". The two associations were surprisingly well-matched and the VFA did not claim the cup until the third year of the series, much to the chagrin of VFA administrators who had proudly declared their competition the second strongest in Victoria. In 1987 the NFL came calling again when New South Wales dropped out of the annual Section 2 championships, the NFL Shield. The VFA accepted the invitation and over the next three seasons played matches against all states and territories other than Victoria (VFL) and South Australia. Their re-elevation to the top level was highly successful; winning the NFL Shield in 1987 and 1989, and finishing second in Section 2 at the 1988 National Carnival. 1975 vs OMFL - held on the second part of a VFA split round. The first half of the match was played 18-per-side (national standard) and the second half 16-per-side (VFA standard). The Association underestimated their opponents and sent a half-strength line-up comprised of players from five First Division clubs and six Second Division clubs. Any players involved in the second part of the split round (played the same day back in Melbourne) were not considered for selection. This meant the representative team had no players from Geelong West, Port Melbourne and Preston; three of the best VFA sides that season. The Association paid the price for not selecting their strongest combination, suffering a 56 point thrashing from their regional opponents. 1976 vs OMFL - the VFA sent their best side to Albury and levelled the series, albeit with a fight. The 1976 match was originally scheduled for June 13, but the Victorian Government would not allow the VFA to play a round of premiership matches on Anzac Day (April 25), so the representative game was moved to that date instead. The Association team kicked six goals in the opening term but were never able to breakaway from the OMFL throughout the match. They eventually scraped home by 9 points, thanks largely to 5 goals from Port Melbourne's Fred Cook and 4 goals from Geelong West's Joe Radojevic. Having reclaimed the Viscount Cup, the VFA returned to Melbourne and the series was later discontinued. 1977 vs Queensland - the VFA led by as much as 41 points early in the third quarter but were overrun, with Queensland kicking 9 goals to 1 to win by 7 points. Fred Cook kicked 9 goals for the losing VFA side. 1979 vs Queensland - the Queensland teams of 1974-78 were the strongest in the state's history, claiming their first national title and first victories over Tasmania and the VFA. Thus, the massacre that occurred in this match came as a complete shock. The VFA posted their third highest score in representative football; highest score against a top-level state team; greatest ever winning margin; and Fred Cook and Kim Smith kicked 7 goals each in a well-supplied forward line. Northcote's Michael Ryan was the only Second Division player selected for this match; an indicator of the growing gulf in standard between the VFA's divisions. 1980 vs South Australia - one of the VFA's finest efforts pushing a full-strength South Australian team all the way on the SANFL's home turf. 1982 vs GNFL - the VFA's second highest score in representative football. Fred Cook equalled the VFA's then representative record of 10 goals. 1982 vs VAFA - curtain-raiser was the VFA 2nd Division against the VAFA 2nd XVIII. 1983 vs VAFA - Williamstown's Mark Fotheringham kicked 8 goals for the VFA. Curtain-raiser was the VFA 2nd Division against the VAFA 2nd XVIII. 1986 Sandringham vs Essendon [not shown on the above list] - a pre-season practice match played at Windy Hill between the reigning VFA and VFL premiers. The Canberra Times [13-3-1986, p.20] reports this match as VFA versus Essendon, but although a handful of players from other VFA clubs were on loan to the Zebras for the day, including Williamstown forwards Ian Rickman and Mark Fotheringham, this was not officially an Association representative team. Essendon was comprised mainly of reserves players with a few of their premiership team also taking part (13 members of Essendon's premiership team were in their 'A' side that played in Queensland the same day). Final scores were: Essendon 'B' 18.11 (119) d. Sandringham 11.9 (75). The attendance was listed as 5,000 at a "very windy Windy Hill". 1987 NFL Shield - NSW withdrew from the competition due to the difficulties of arranging transport and training (half their squad were based in the Riverina region near the Victorian border and the rest were based in Sydney). The VFA took their place in the series and finished with a 3-0 record, claiming their second national championship in Section 2 (the first was in 1960). 1987 vs NSW - played under lights midweek in what were described as atrocious conditions. This remains the VFA's only loss to New South Wales. 1988 vs Essendon/Melbourne Reserves - pre-carnival practice matches held at Skinner Reserve in Sunshine. 1988 vs VAFA - this midweek match was played on a Wednesday evening and served as a practice match for each Association ahead of their upcoming representative fixtures. 1988 vs WAFL - played as a curtain-raiser for the WA vs VIC State of Origin match. 1989 vs Brisbane Bears FC - a pre-season practice match scheduled for Carrara. The match was cancelled when Brisbane chose to play Essendon instead. 1989 NFL Shield - the VFA went through the carnival undefeated and claimed their third national title. In the final against the Australian Amateurs, Oakleigh's Rino Pretto kicked 12 goals to set a new VFA representative record.